Having developed what they believe is a "revolutionary" Gripmore technology, Adidas have made it available in two new shoe models for 2014. 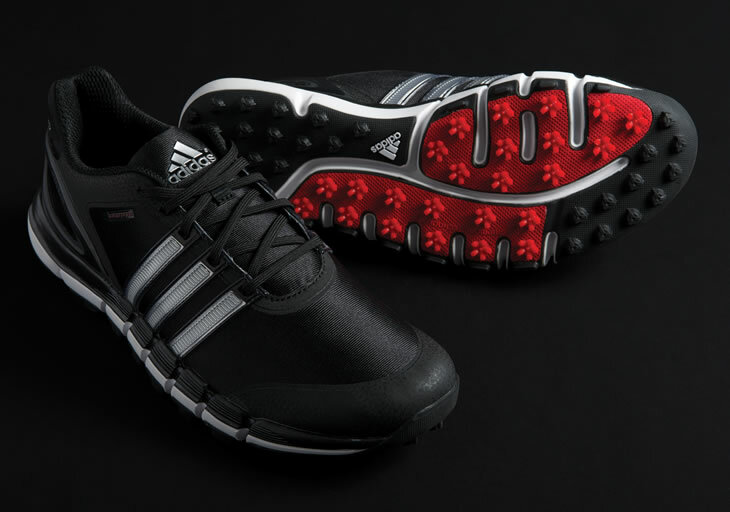 In addition to the Adicross Gripmore shoe, Adidas have also launched the all-new Pure 360 Gripmore Sport shoe. Both models share the same Gripmore sole technology that is more durable than current spikeless soles and combines the best of both spikeless and spiked shoes. 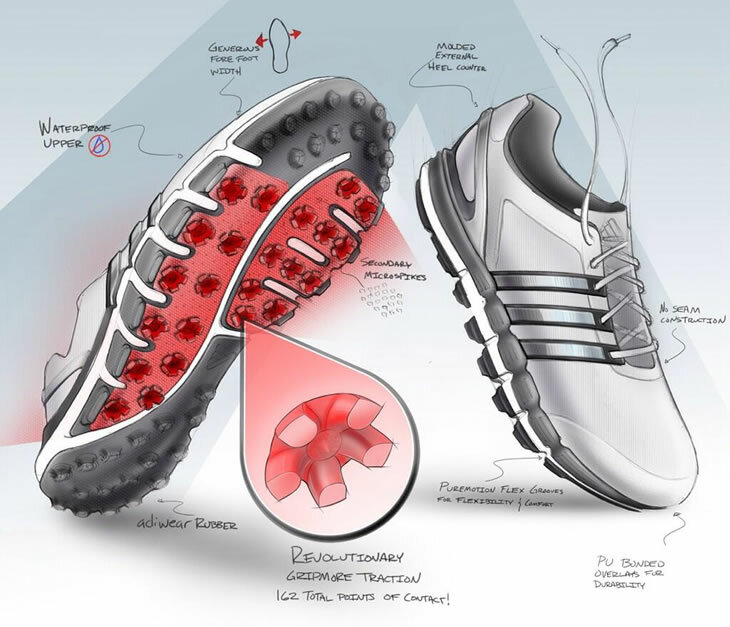 Adidas Golf's Director of Footwear, Masun Denison, told us he and his team stayed up at nights working hard on the new sole design and are proud of what they achieved. You get the grip of a spiked shoe and the comfort and versatility of spikeless, combined into one shoe. 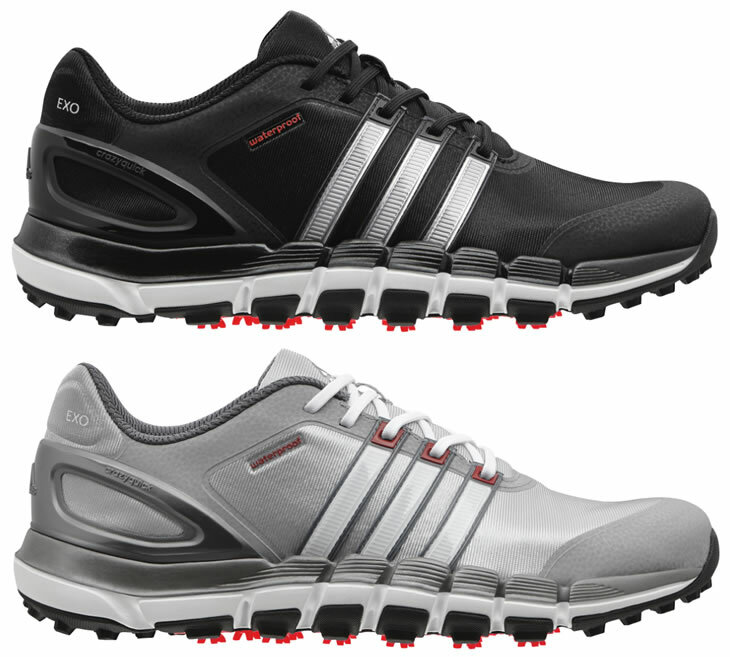 When the hybrid came out in 2003 it almost eliminated the 3-iron, this is our version of that in shoes. It is a new way of traction on the bottom of a shoe. Where traditional golf shoes have spikes that require receptacles and need to be screwed into the sole, the Gripmore sole features cleats injected directly into a lightweight mesh matting. In the Pure 360 Gripmore Sport model, the sole features 23 cleats that combine to offer a total of 161 contact points. Many golfers worry when it comes to spikeless shoes is durability. 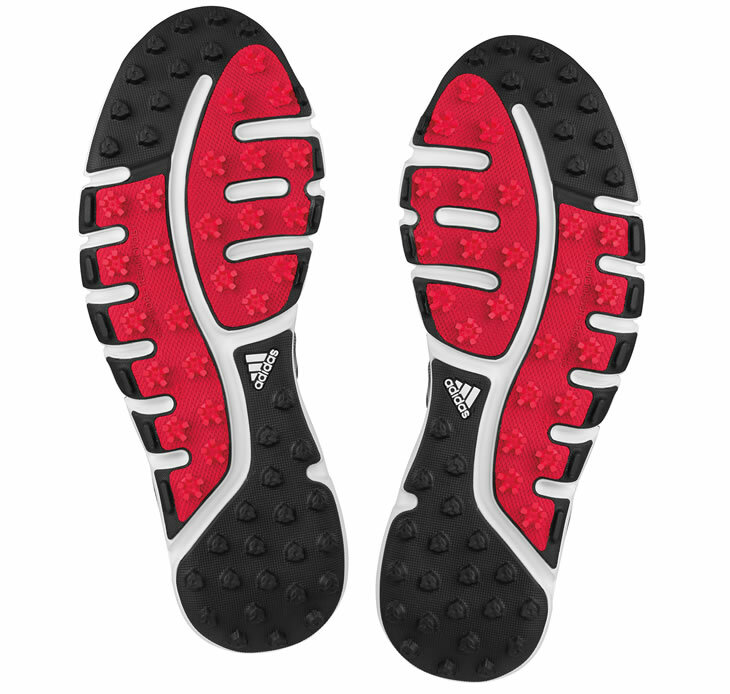 With non-replaceable rubber soles, many casual, spikeless soles can wear quickly and lose traction. Dension told us that Adidas use a proprietary PU material on the Gripmore sole that they have found is more durable that rubber. They have a machine stomp the shoe on concrete, simulating 200 miles of walking, to allow them to compare the durability versus other soles and materials. As for looks, the Adicross Gripmore model is designed to offer a premium, sport-styled, modern look whilst the Pure 360 is a more athletic, waterproof shoe and is designed for increased stability. Atop the Gripmore sole is a waterproof mesh upper design featuring Adidas' climaproof technology. The 360WRAP and powerband chassis help create a stable housing for your feet whilst the new Gripmore cleats keep you connected to the course. Adidas are offering the Pure 360 model in two colours, either black/silver/scarlet or onix/white/scarlet.